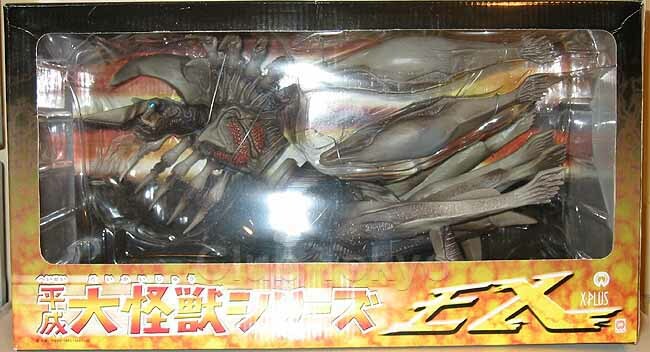 X-Plus is a Japanese toy company that makes toys based on many Japanese as well international characters. 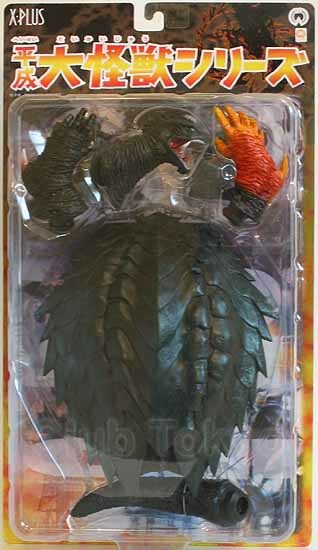 They make one of the largest lines of kaiju vinyl figures. 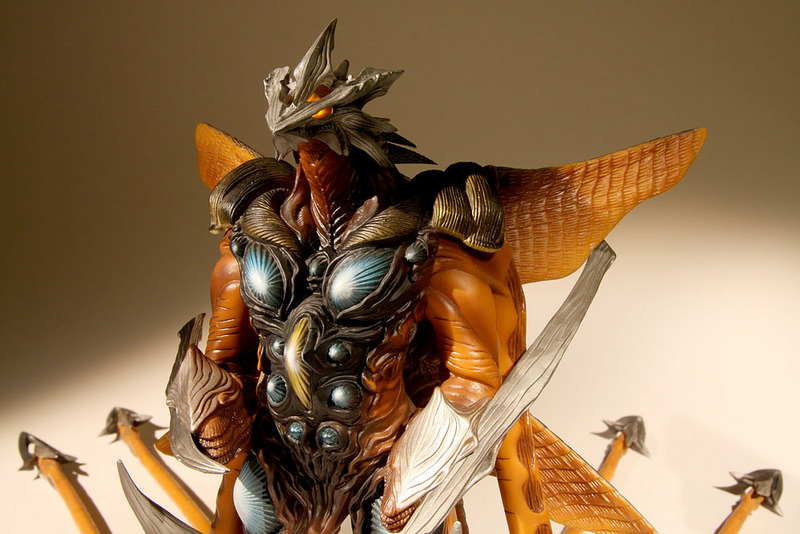 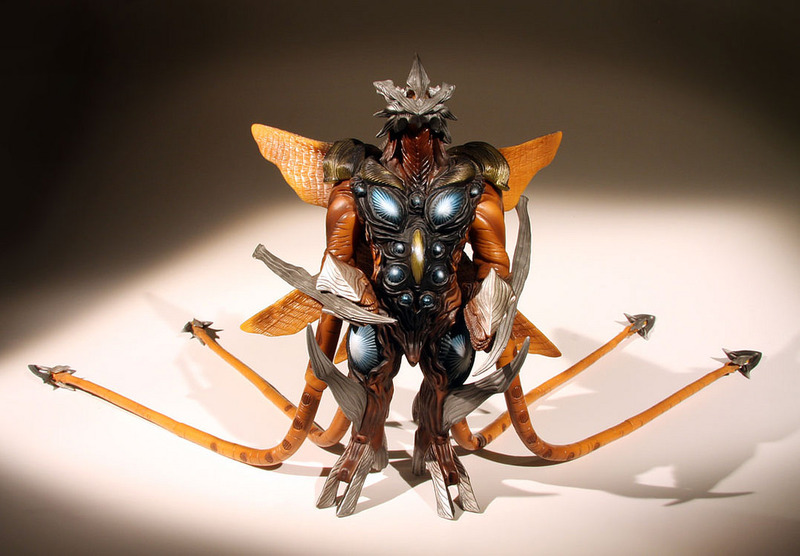 X-Plus has their 30cm Series (30cm scale), Large Monster Series (25cm scale), Gigantic Series, and their Real Master Collection (poly resin "statues"). 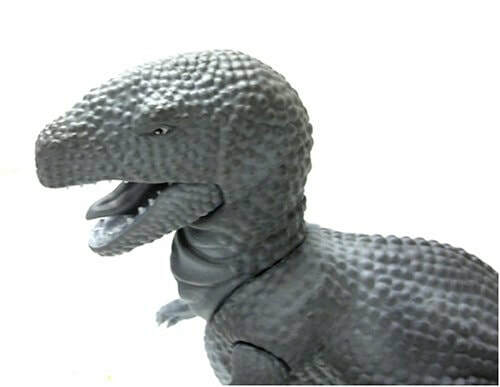 There are usually two version of many figures, a standard version, and a Ric Boy Limited version that is sold direct from X-Plus and features extra features and/or accessories. 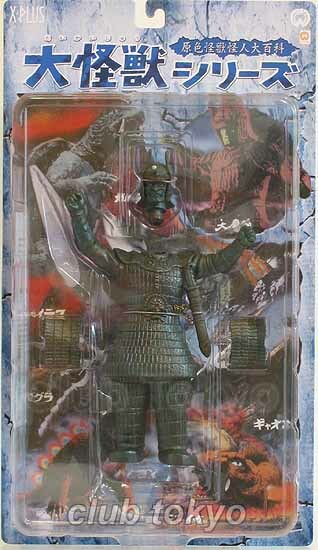 This section features Daiei/Other figure lines pre-2009. 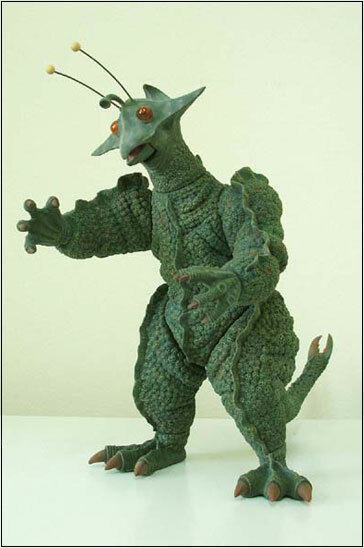 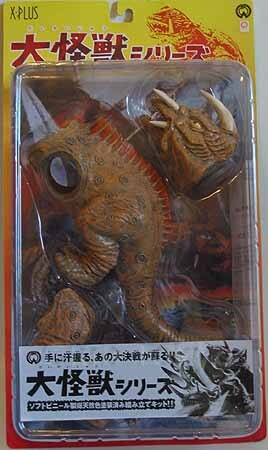 Thanks to John from Kaiju Addicts, Brad Simmons, and Mike Johnson for some reference material. 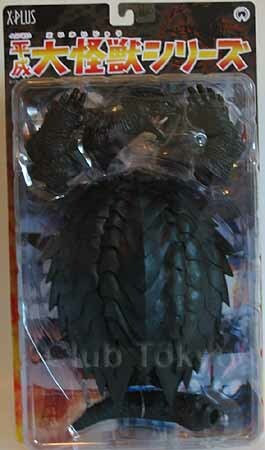 Note: some information may be missing and there are limited pics, we will update as find info and better pics. 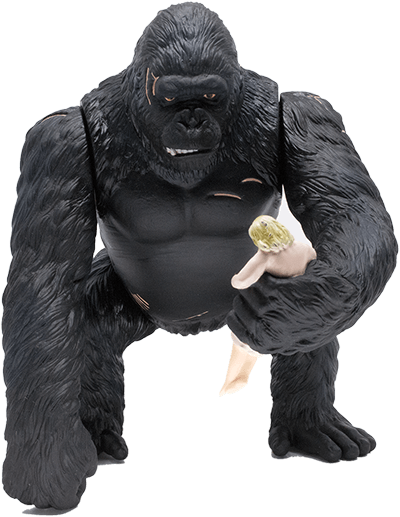 Also ​some figures were Toys R Us exclusives. 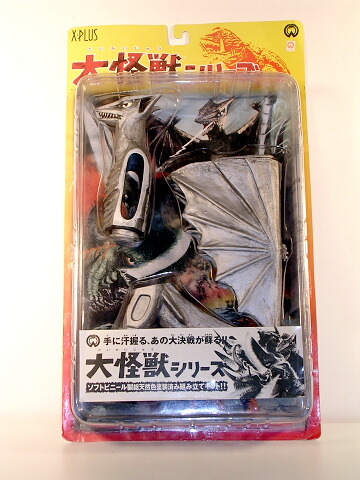 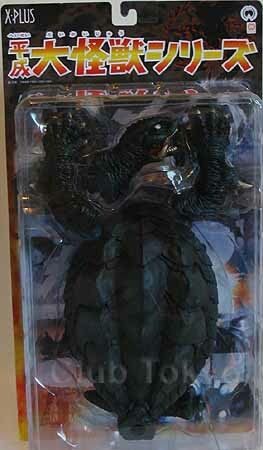 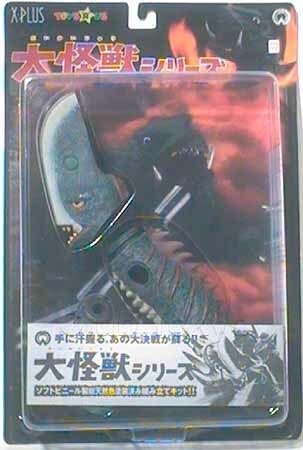 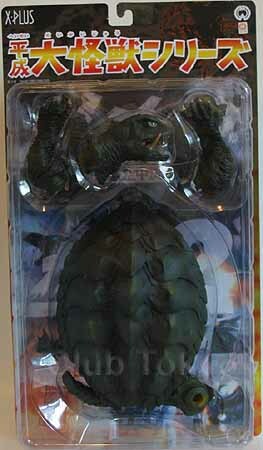 This figure was released 1999, it was Gamera in flying pose (arms outstretched).this was a smaller version than some others. 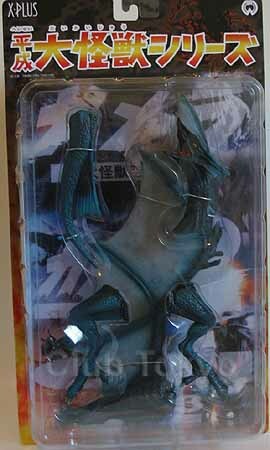 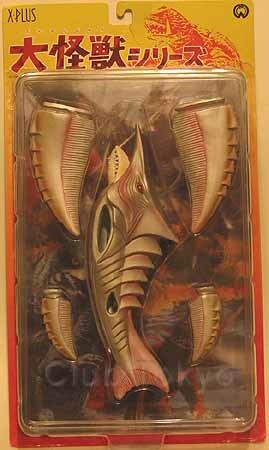 This figure was released in 2000, it came in four variations normal, plain (less detail paint), glow, and Barugon set (exclusive?). 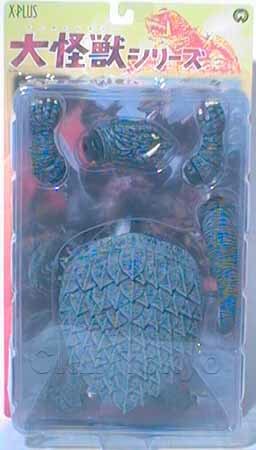 This figure was released in 2000, it came in four variations normal, translucent green, painted (no pic), and freeze version (no pic). 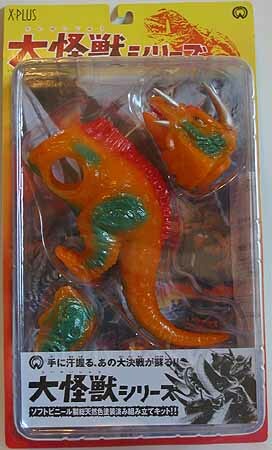 It came with two tails for different poses. 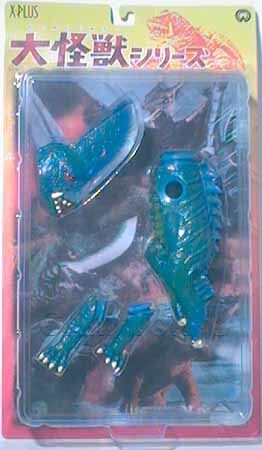 This figure was released in 2000, it came in five variations normal, painted, translucent clear, yellow card, and Barugon set (exclusive?). 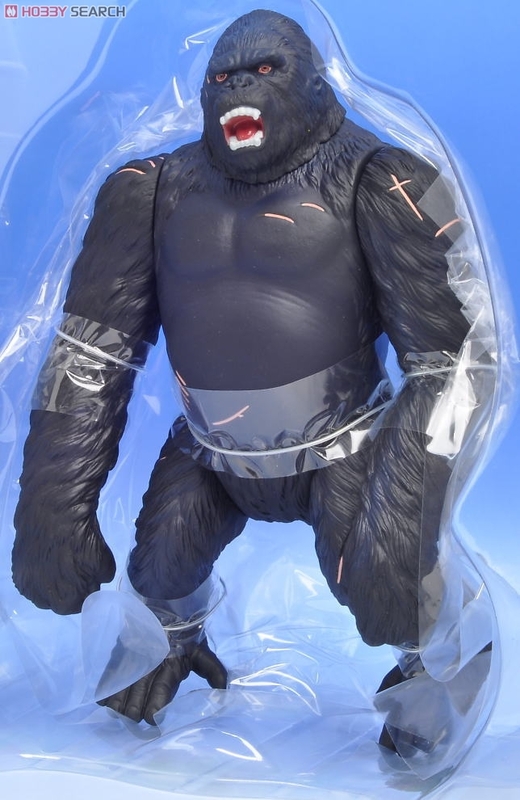 This figure was released in 2000, it came in four variations normal, painted, translucent clear, and yellow card. 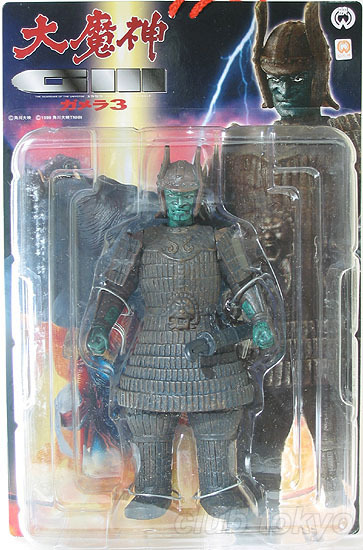 This figure was released in 2001, it came in two variations normal, and glow. 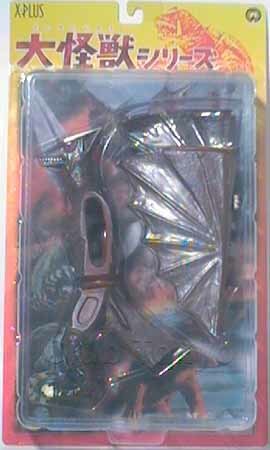 ​This figure was released in 2001, it came in two variations normal, and glow. 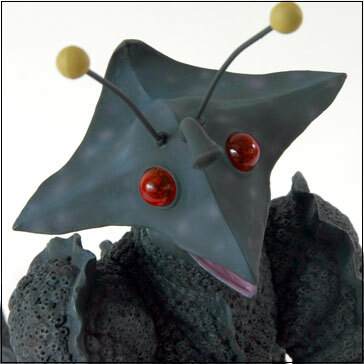 ​This figure was released in 2002, it came in two variations normal, and glow. 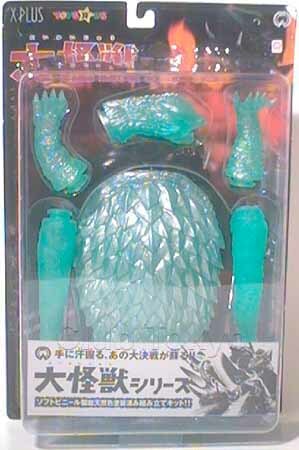 This figure was released in 2002, it came in four variations normal, glow (no pic), clear orange, and clear white (SDCC exclusive). 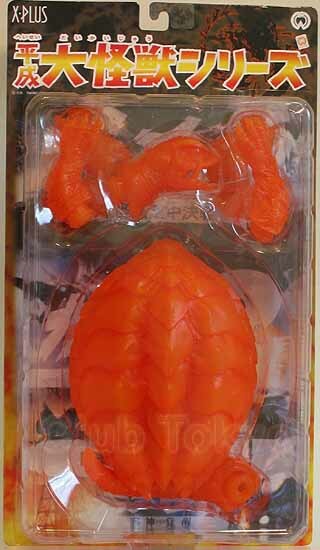 This figure was released in 2002, it came in five variations normal, painted chest, glow (no pic), painted chest w/ Legion Soldiers, and clear orange (SDCC exclusive). 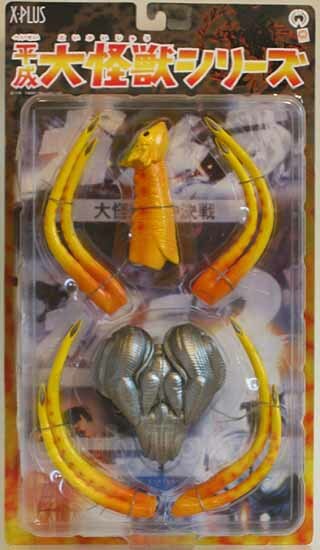 This figure was released in 2002, it came in three variations normal, glow (no pic), and orange painted fist. 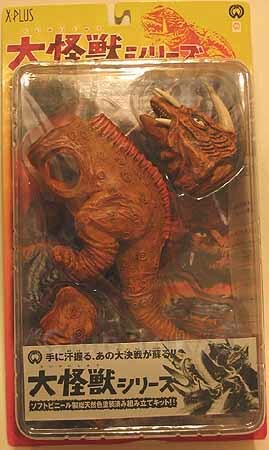 This figure was released in 2002, it came in two variations normal, and brown. 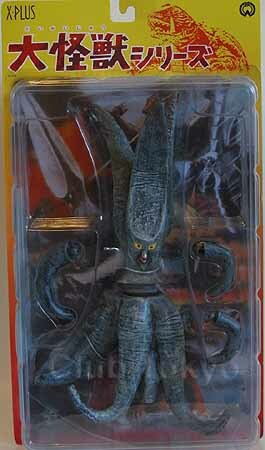 ​This figure was released in 2002. 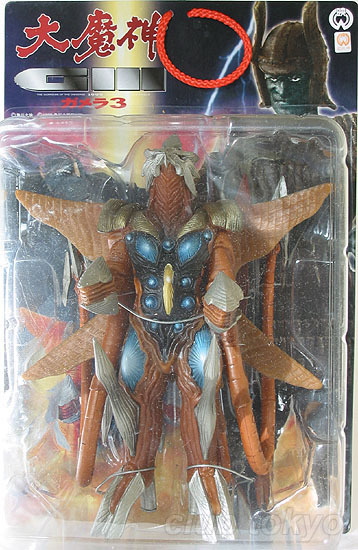 ​This figure was released in 2002. 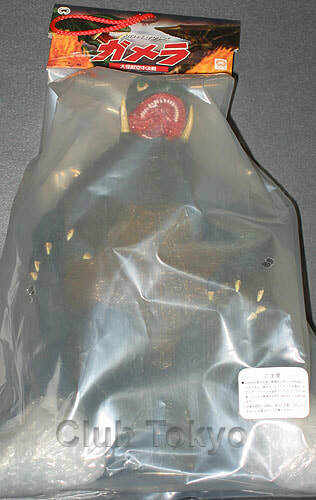 It was packaged in a display box. 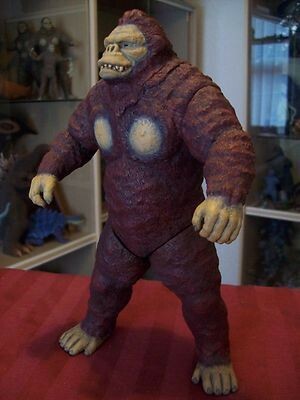 This figure was approx 9 inches tall. 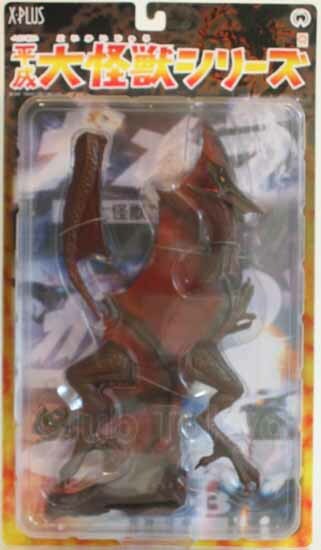 ​​This figure was released in 2002. 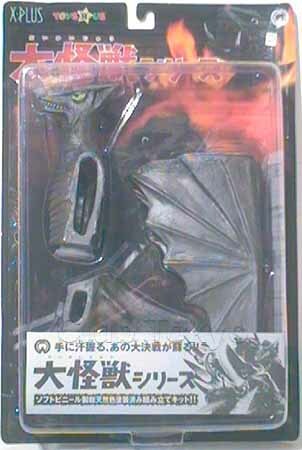 This figure was released in 2002, it came in three variations Real type 1(TRS), Real type 2(TRS), and Barugon set (exclusive). 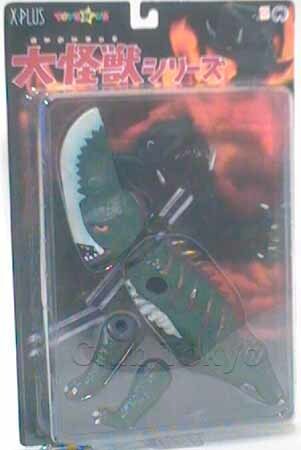 ​​This figure was released in 2002. 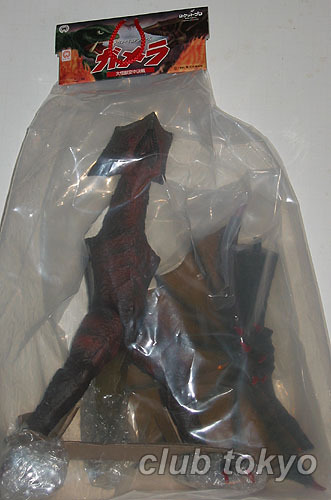 It was packaged in a display box. 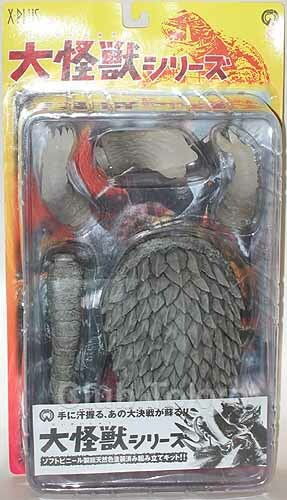 This figure was approx 14 inches long. 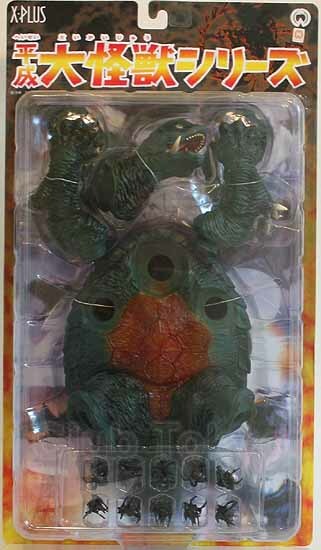 ​​​This figure was released in 2002.​ It was packaged in a display box. 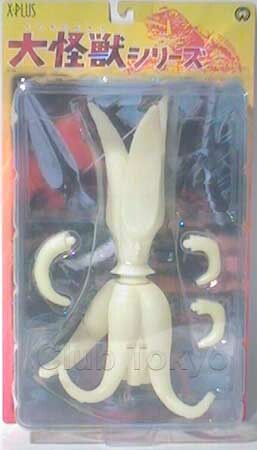 ​​​​This figure was released in 2002. 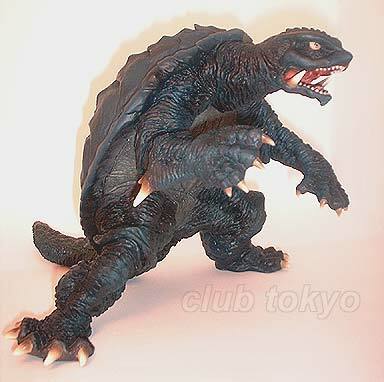 This was a smaller version. 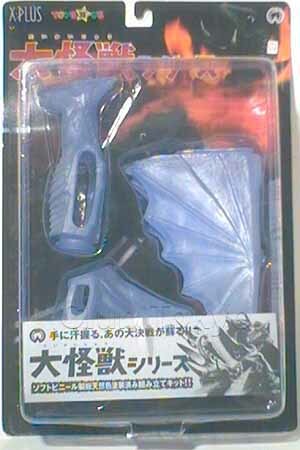 ​​​This figure was released in 2003. 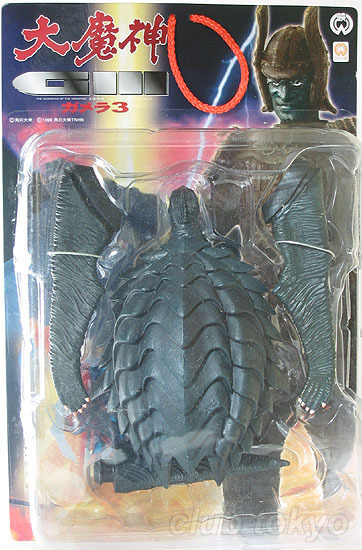 It featured a spike in it's head. 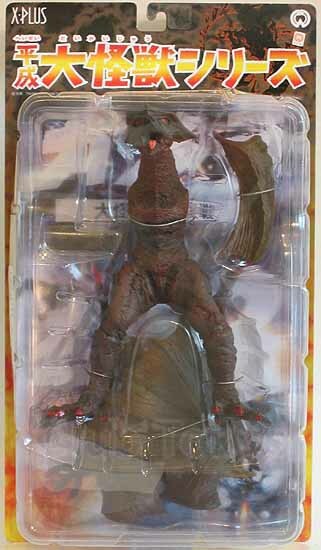 ​​​​​This figure was released in 2003. 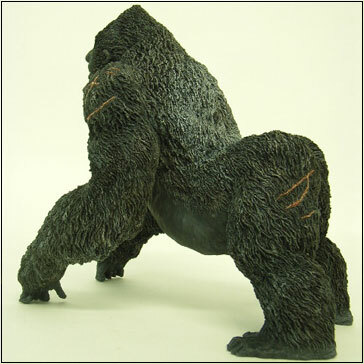 This was a smaller version. 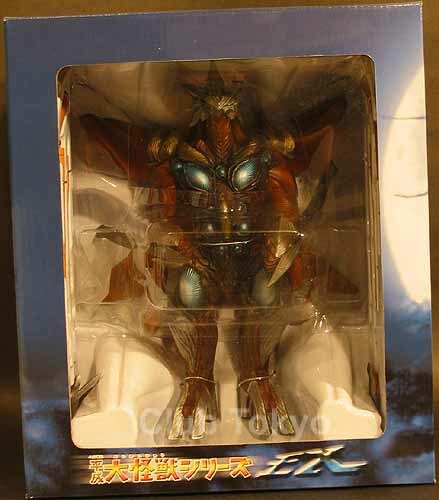 ​​​​​​This figure was released in 2003. 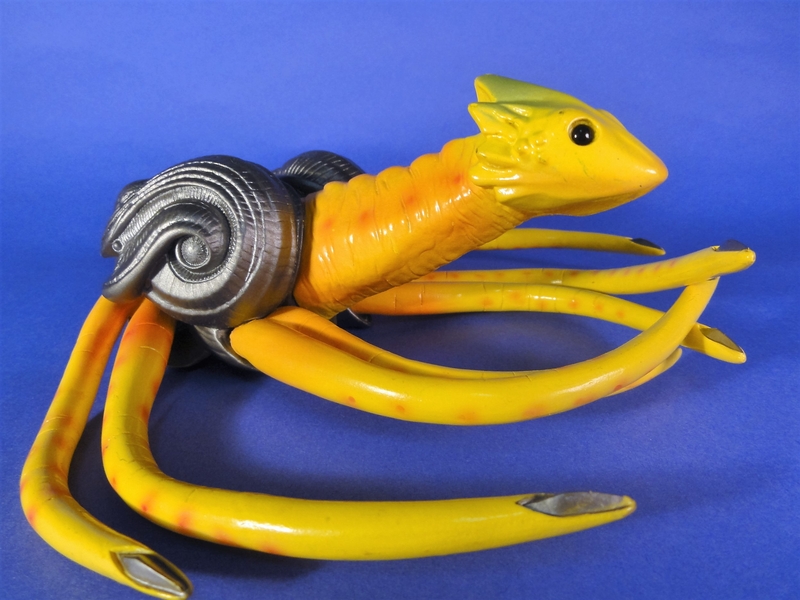 This was a smaller version approx 6 inches tall. 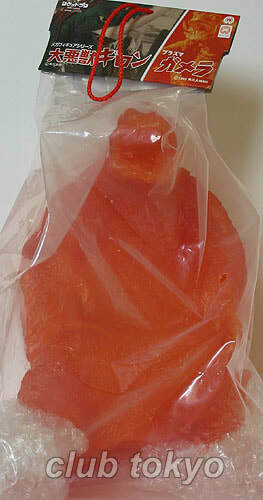 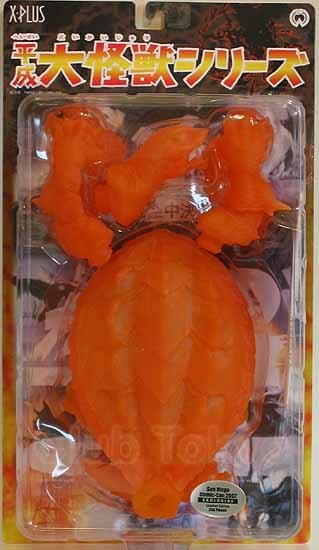 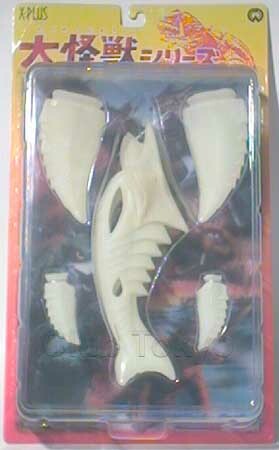 ​​​​​​​This figure was released in 2004, it came in two variations painted, and clear orange. 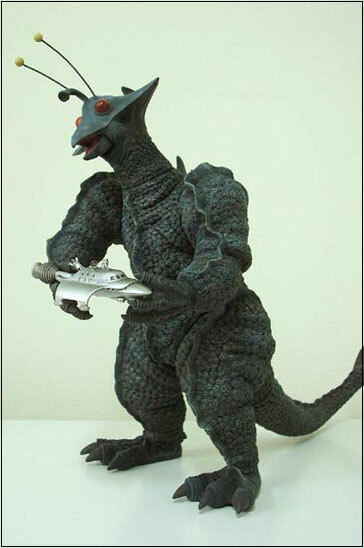 This figure was made by X-Plus for Rocket Pro. 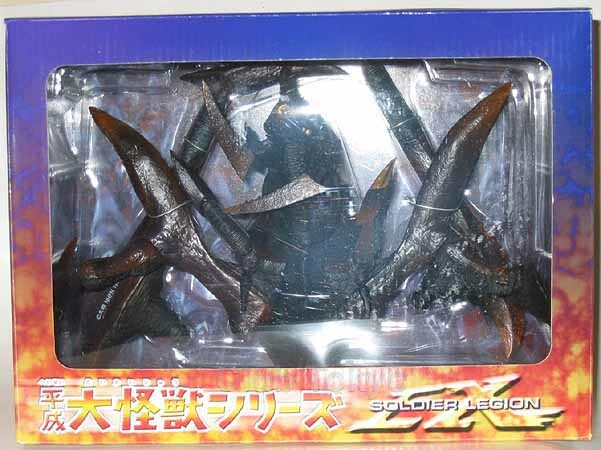 ​​​​​​This figure was released in 2004. 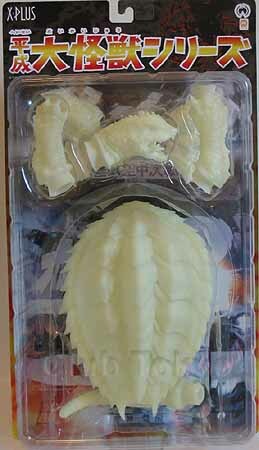 This figure was made by X-Plus for Rocket Pro. 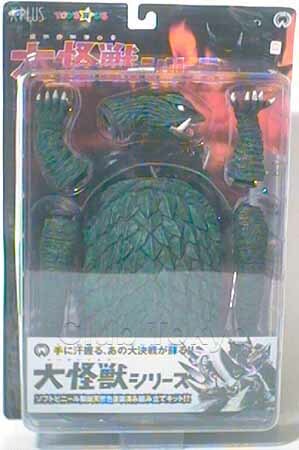 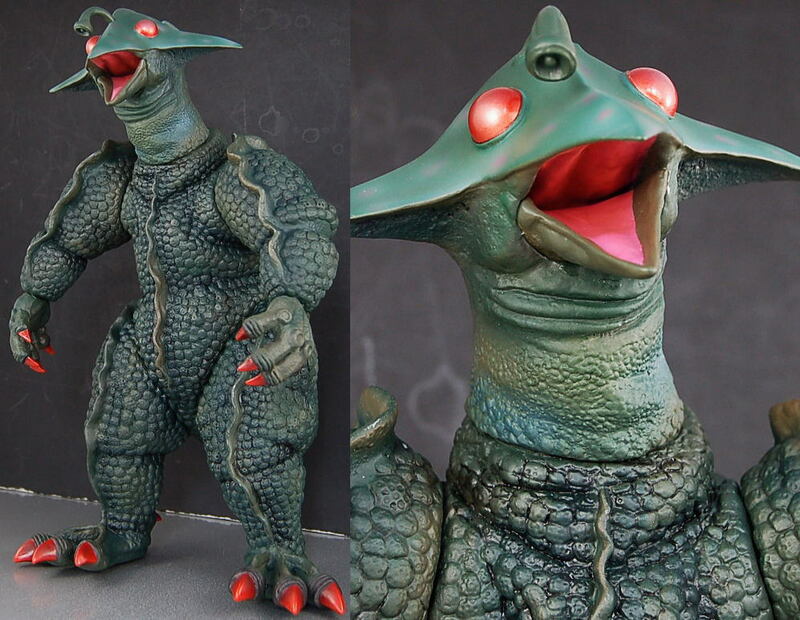 Guilala was released Oct 2006, it came in two versions Space Gray (left) and Green (right), they are the same figures at 25.5cm tall, just different color schemes. 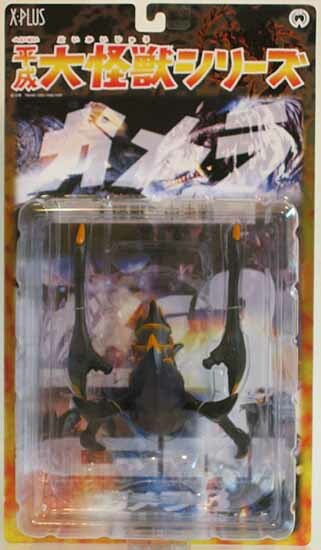 The Gray version also came with a Astro Boat. 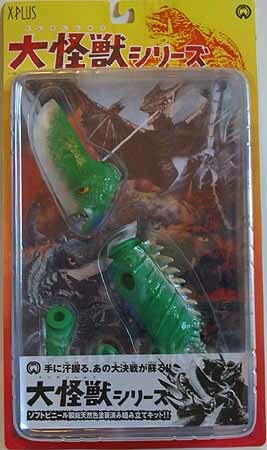 ​Guilala was released Oct 2006, it came in two versions Green (similar to 25cm version), and a Lighting version (glow in the dark?). 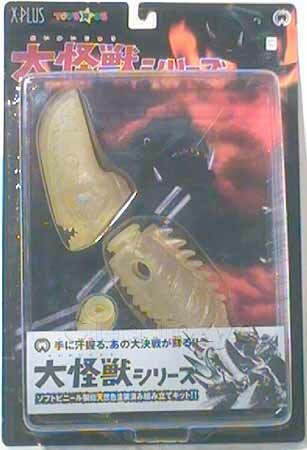 Both figures were limited releases. 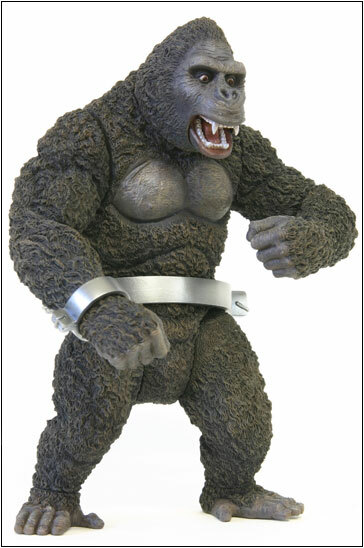 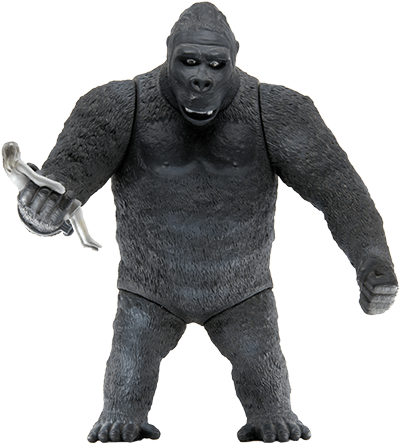 King Kong 1933 was released July 2007, it stands 20cm tall and features shackles on his waist and arms. 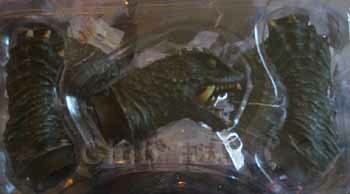 He also has two sets of fists open and closed. 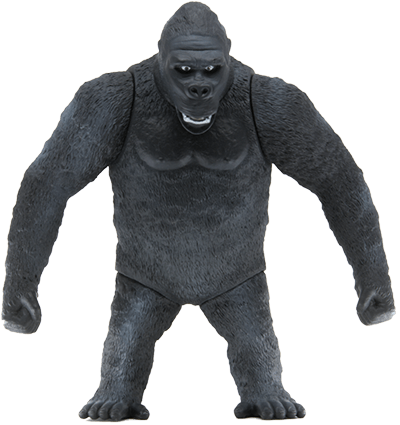 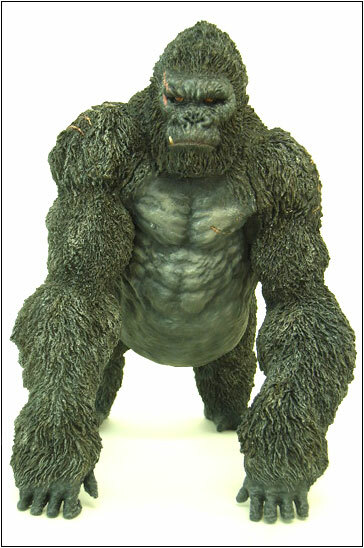 King Kong 2005 was released July 2007, it stands 20cm tall and features scars on his body. 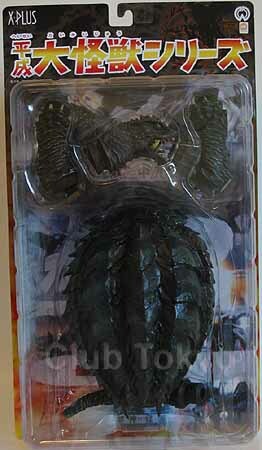 He comes with an Ann Darrow figure and a second left arm to hold her. 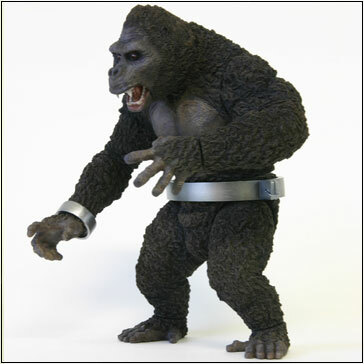 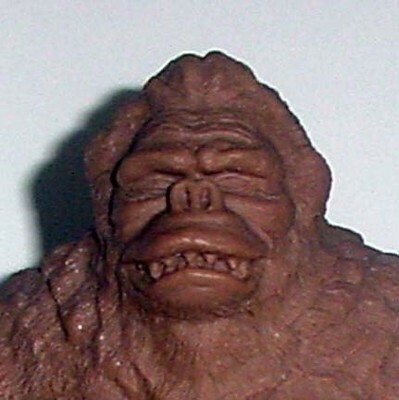 ​Kong The 8th Wonder of the World is an articulated figure released by X-Plus for the 2005 film. 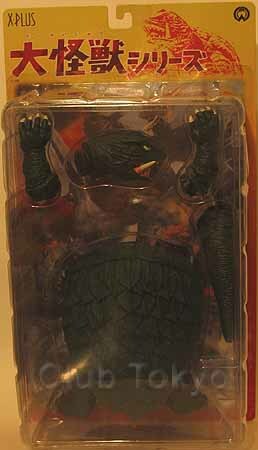 There was a version with a different head, different posed arm and Ann Darrow figure. 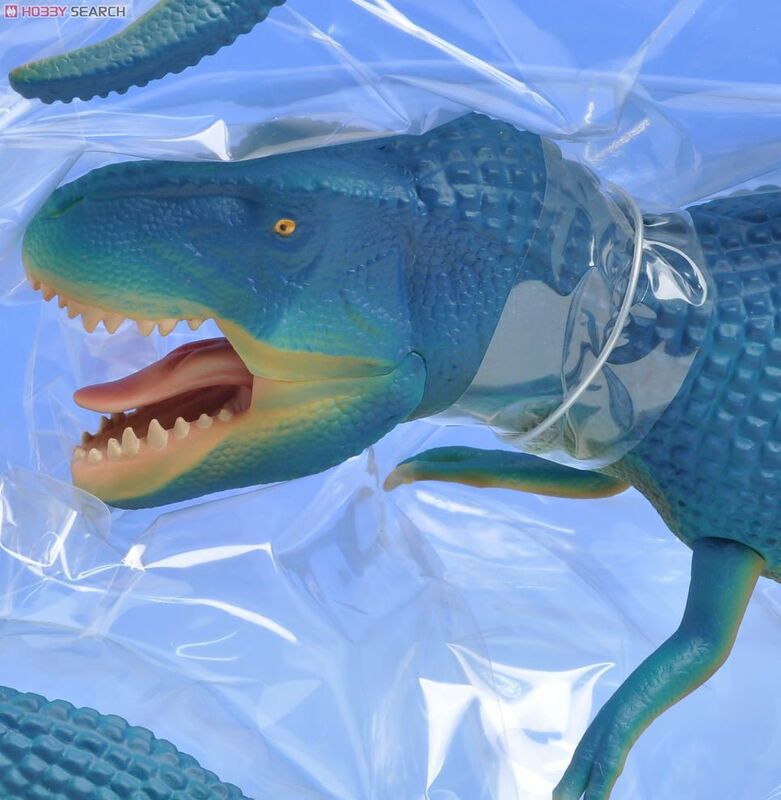 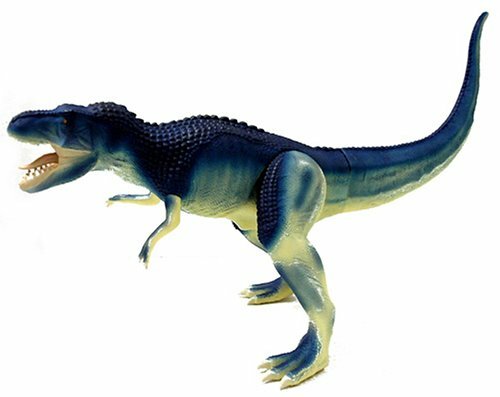 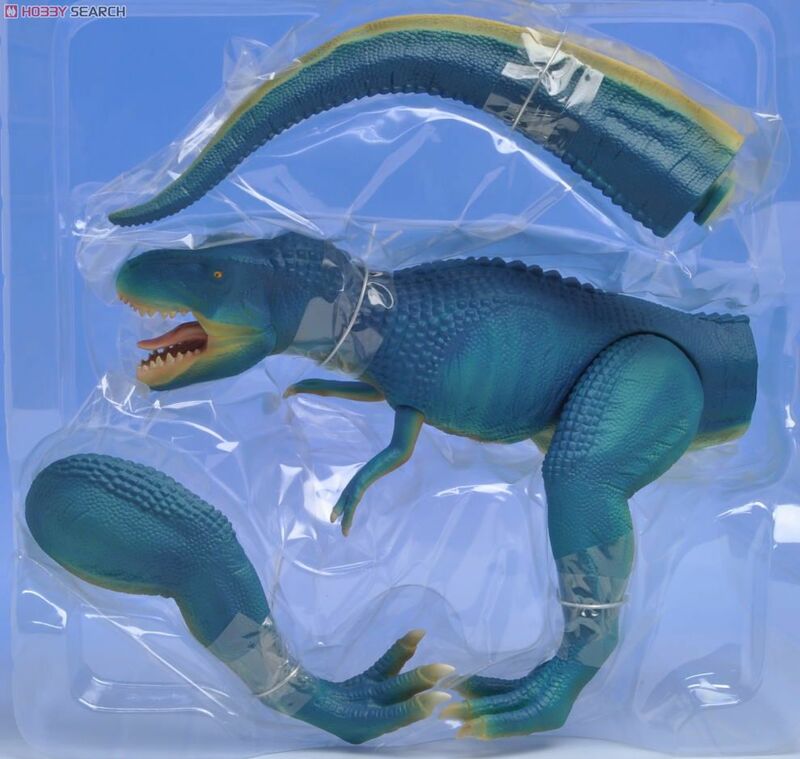 ​Vastatosaurus Rex is an articulated figure released by X-Plus for the 2005 film. 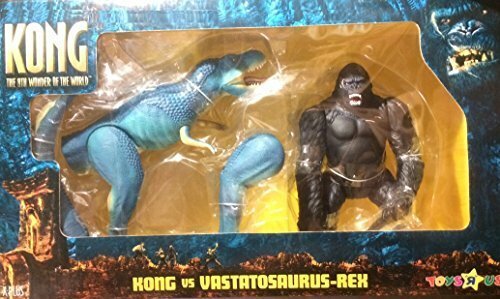 This set feature King Kong and Vastosaurus figures together (same as separate figures). 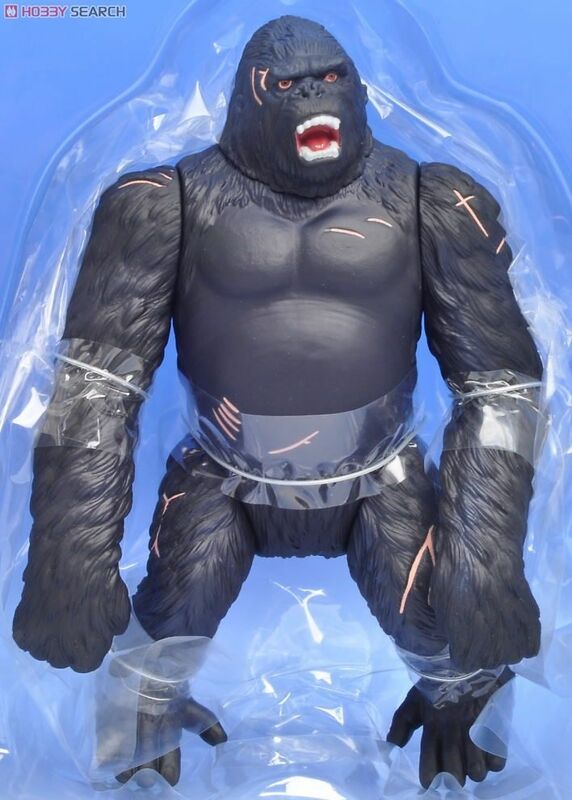 This was a Toys R Us exclusive. 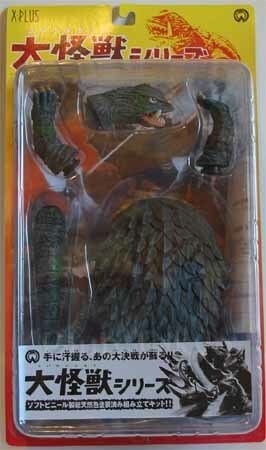 ​King King 1933 is an articulated figure released by X-Plus, around the release of the 2005 film. 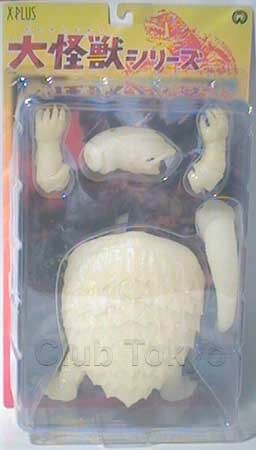 There was two version of this figure. 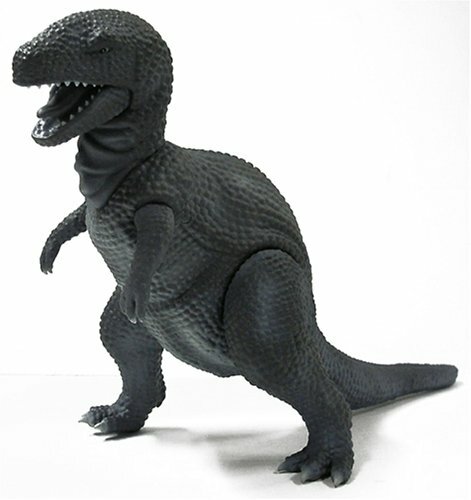 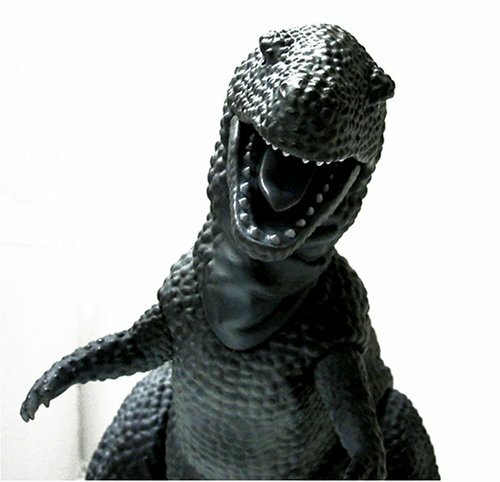 ​Tyrannosaurus Rex​ is an articulated figure released by X-Plus, around the release of the 2005 film. 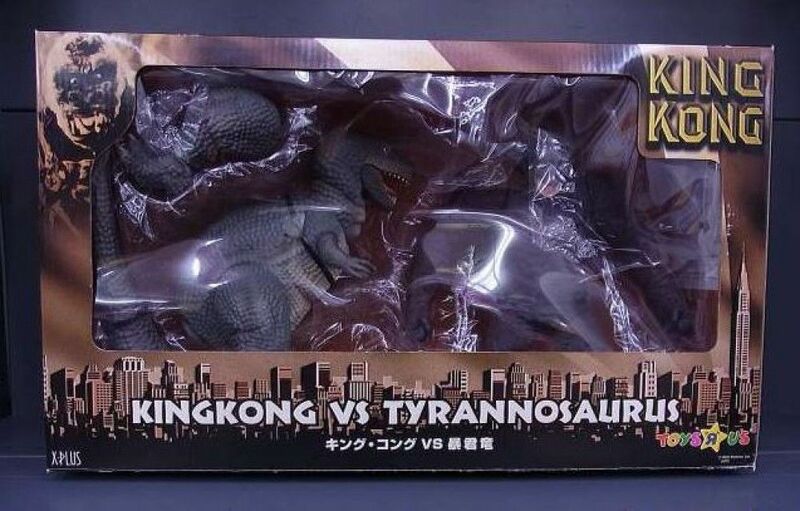 This set featured King Kong and Tyrannosaurus Rex ​figures together (same as separate figures). 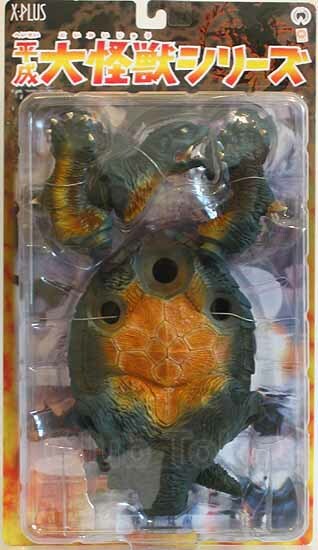 This was a Toys R Us exclusive. 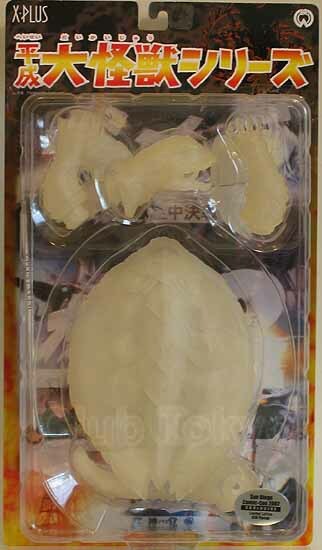 This kit was a Fan Club exclusive, it was unpainted and unassembled. 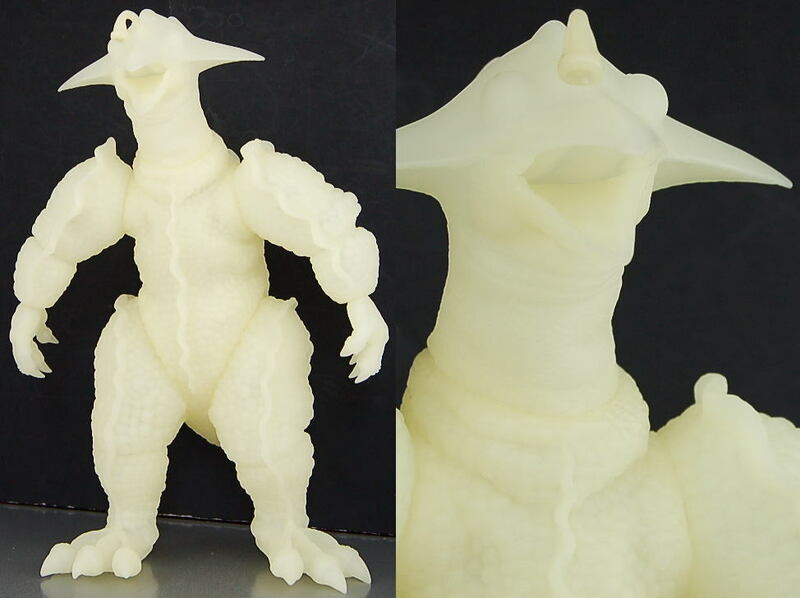 It stands approx 25cm tall.